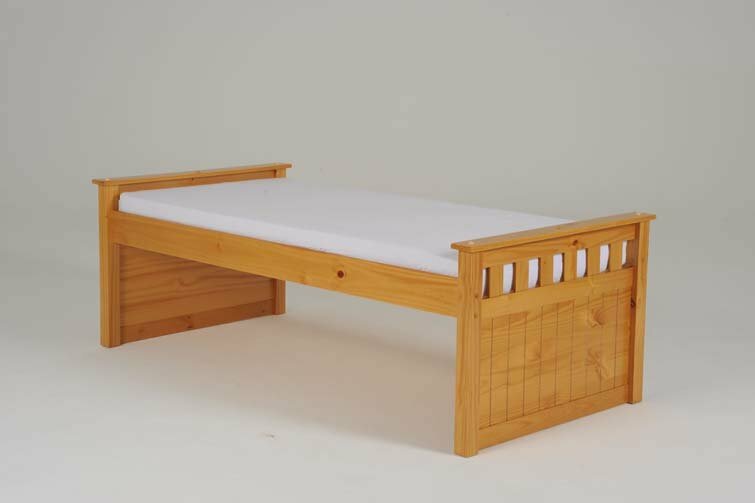 This classic single bed is perfect for any child�s bedroom. A simple, Minimalist design offers a clean aesthetic. The height adds space underneath for storage, and with the light wood adding a rustic charm, this bed is the perfect addition to any home.